Manufacturer and Supplier of labels and glow signs, safety sinage products, metal labels, name plates and motors. We charge competitive rates for these products. 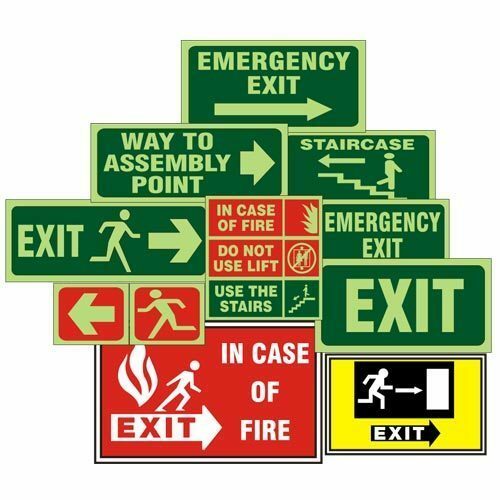 Our professionals are known for adhering to industry leading guidelines and we are manufacturing and supplying various sorts of business labels and glow signs that include safety signage products, metal labels, name plates (vinyl & acrylic) and polycarbonate labels. We use sophisticated technology to develop our products and are also providing metal photo, digital signs, sign boards, anodized labels, sticker and mimic, plant layout, flow charts. Further, these are highly durable, strong, and corrosion resistant and are used for advertising, promotions and for domestic safety purposes. We charge industry leading rates.